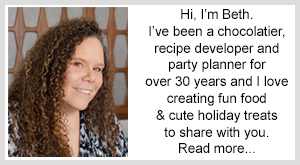 March 31, 2014 By This post may contain affiliate links. 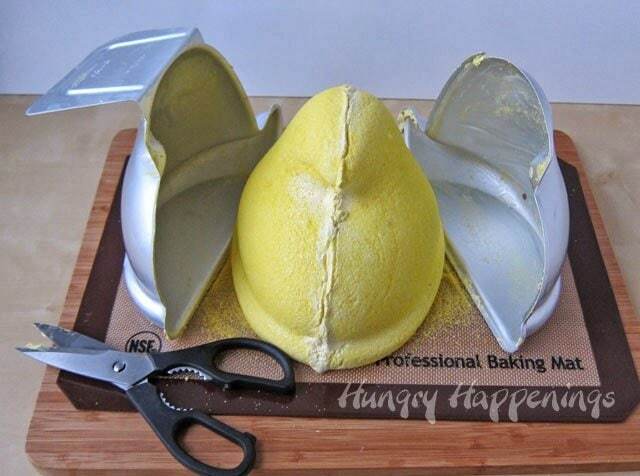 Everyone loves peeps, so why not take your peeps to the next level? For your Easter party make this amazing Giant Homemade Marshmallow Peep, your guests will be absolutely amazed! Are you a Peeps lover or hater? 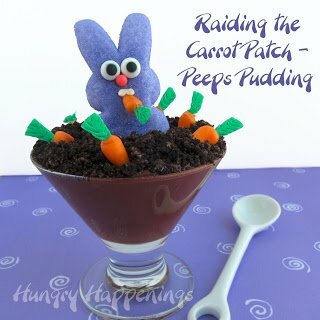 My love affair with Peeps has been lifelong and I shared my story about winning a year’s supply of the marshmallow treats last year in my Raiding the Carrot Patch Peeps Pudding post. I love them so much that for my birthday this year, my sister put a candle in a large bunny Peep and presented it to me while everyone in the room sang. So, when a box arrived from Wilton, filled with a bunch of their new Peeps merchandise, I ripped it open with so much enthusiasm, it scared my dog. 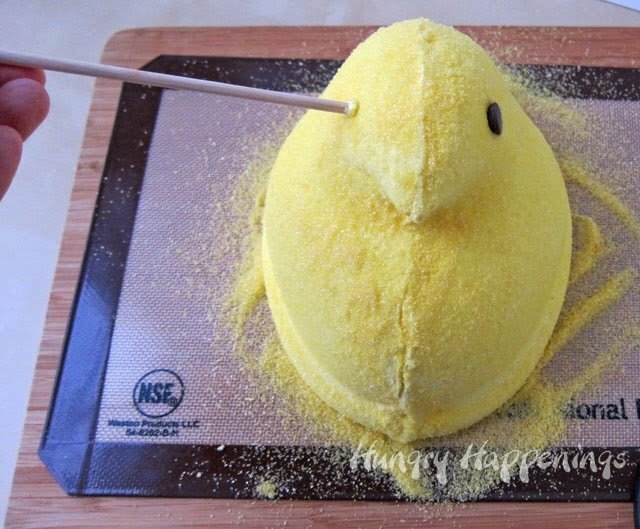 I was squealing when I saw the 3-D Peeps cake pan, and knew immediately I wanted to try to make a Giant Homemade Marshmallow Peep. I can’t tell you how happy I was that this project actually worked. When I prepped the pan and filled it with homemade marshmallow, I crossed my fingers then waited for hours before pulling apart the two pieces of the pan to reveal a perfectly shaped Peep. I donated my Giant Peeps to my nephew’s baseball team for their fundraiser and it was the talk of the event. I was excited to see so much enthusiasm surrounding my creation. 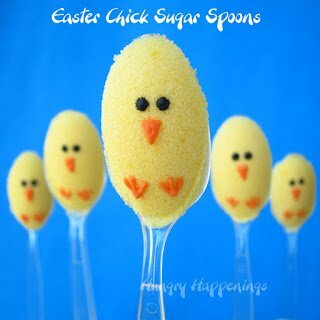 If you would like to make your own Giant Homemade Marshmallow Peep or a Peep cake, you can purchase one of Wilton’s 3-D Peep pans at your local craft store, but you better hurry up, as they are flying off the shelves. You will have extra marshmallow by making 2 whole batches. If you have a professional kitchen-aid with a 6 quart bowl, you can make 1 1/2 recipes instead and should have enough to fill both sides of the pan. Otherwise, I suggest just making the two batches. Grease the inside of each half of the 3-D Peeps pan really well with butter. Sprinkle yellow sugar all over the inside of the pan, making sure to get in all the grooves. Make one batch of the homemade marshmallows, adding yellow coloring as the marshmallows are being whipped. Pour the yellow marshmallow into one half of the 3-D Peeps pan. Butter one hand really well and press down on the marshmallow making sure it’s really well compacted in the pan. You will have more than you need. Use any extra yellow sugar to coat the excess marshmallow. 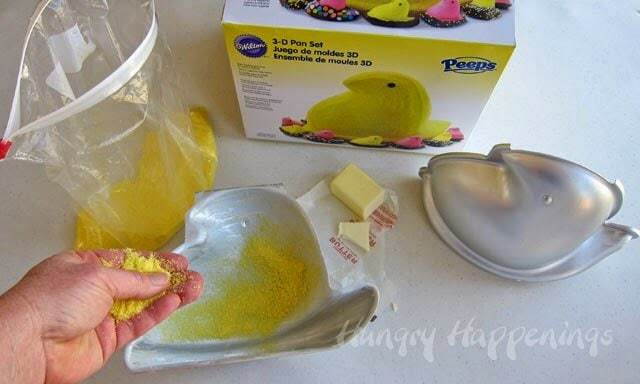 Make another batch of yellow marshmallow and fill the other side of the 3-D Peeps Pan. If the first pan of marshmallows is still sticky, just press the two sides of the pan together. If not, wet your fingers with water and rub the water all over the first marshmallow that you made. 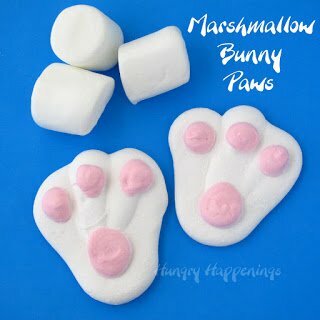 This will make the marshmallow sticky again. Then press the two sides together. I set my pan inside a large bowl and snuggled a towel under the top of the pan to keep it level. Allow the marshmallow to dry for at least 4 hours. Set the Peeps pan upright and carefully peel the two sides off the marshmallow. Trim off the excess marshmallow along the seem and sprinkle some yellow sugar over the seam and any bare spots. 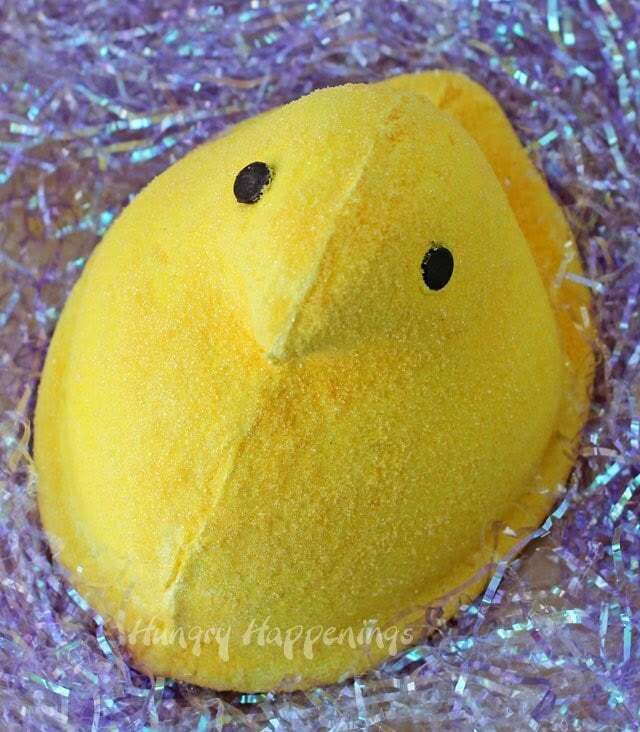 Stick a wood dowel into the peep where the eyes should be, to create a small well. Stick the pointed end of a large chocolate chip into the well. It will just stick. This marshmallow should stay fresh for a week sitting on Easter Grass in a basket. 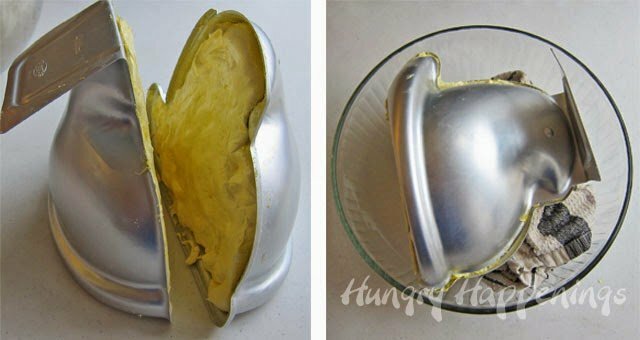 If you put it in an airtight container if will stay fresh for several weeks. Of course, I like stale Peeps, so letting it sit and get crusty isn’t a bad thing. You can probably keep this for at least a month, if you don’t mind a more crunchy exterior. I LOVE Peeps, especially around Easter and definitely in the Spring. I use them in my trifles and homemade ice cream. I also melt them and use them as frosting and in rice krispie treats. 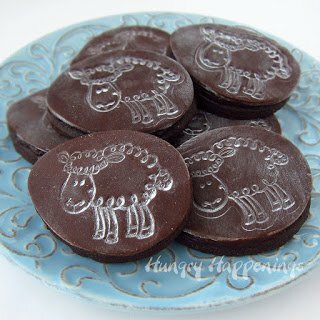 Oooh, I've never melted them and used them as frosting or in Rice Krispies treats, both great ideas that I'll have to try. I love them stale too, and do the same thing. Thanks for sharing your sweet memory. I'm sure you think of your Pepere around Easter time whenever you see Peeps. errmigawd – I love peeps! My friends & boyfriend always buy me peeps, send me peeps links and have even gotten me peeps plushies!! 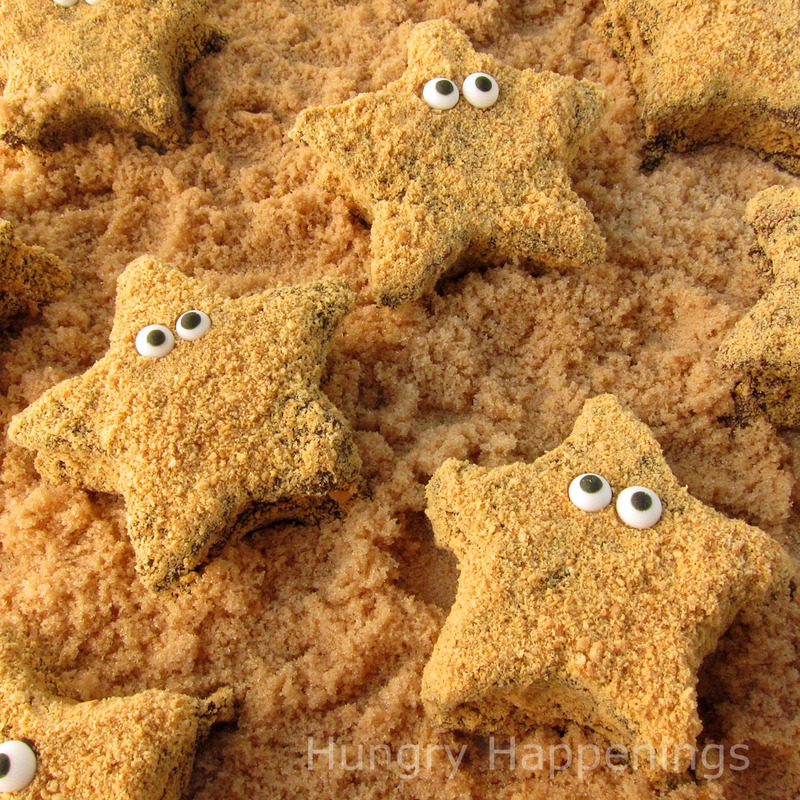 I would love to win this and bake some goodies to share with them all! Half of my Easter decorations are plush Peeps! I love 'em too. Good luck. i am not a huge fan, i must admit (don't boo me!) 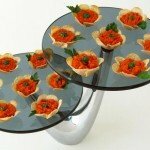 but love all the projects i am seeing using them for other than eating! Most of my family members aren't fans either. As a child, that just meant more for me! I Love Peeps! The first year that Peeps plushies came out, I was in my last year of high school. One morning, that year, I came out to find my car COVERED in decorations — including two Peeps plushies. It was a pleasant surprise, but it became clear it was not intended for me. Our neighbor across the street had made the cheerleading team at an opposing high school and their team decorated my car by mistake — decking it out in their school colors. Unfortunately, it had rained that morning and the plushies were a soaked mess. I ran them and the rest of the decorations inside my house before I left for school (thank goodness I wasn't running late!). On my way back from school, I bought actual marshmallow peeps in my neighbor's school colors and walked them over to congratulate her and explain the mix up! She came over to see the still soggy decorations from my car and we had a laugh (and some peeps) together. What a fun story. Thanks for sharing! I am not a Peeps fan but the rest of my family loves them. I have made with my niece and nephews this large cupcake that looked like a basket and put Peeps on top. They loved it because we dyed the coconut green to look like grass and then put jelly beans. I love Peeps for Easter!! So pretty & springlike! It is amazing how different a Peeps tastes than a plain marshmallow out of a bag. 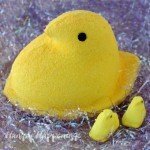 I love peeps – thanks for the instrucs! I remember them always being in my easter basket as a kid… my mom would use them to create a treasure hunt of sorts for me to find my basket!! We always had to hunt for our baskets too. I loved that tradition. Can you believe it, I HAVE NEVER HAD A PEEP!. My mom never got them for us because she didn't like them. I love Marshmallows. Why wouldn't I like them. 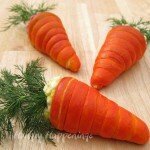 My son just told me he liked them, so the bunny is getting them so I can try one. I love all of the colors and how cute they are! 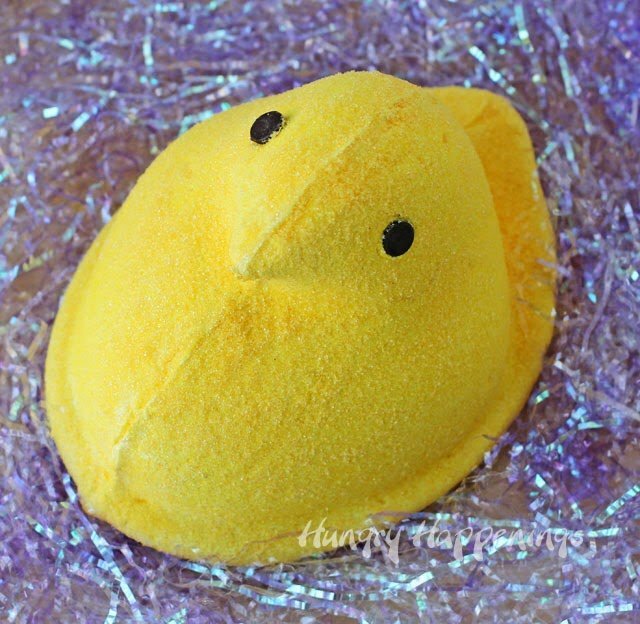 I met someone else recently who had never tried a Peep. It was pretty amazing to me, being I've been eating them since childhood. I hope you enjoy your first Peep! I have always been a Peeps fan! When I was younger, my Mom would always buy Peeps for me at Easter, and continues to do so! 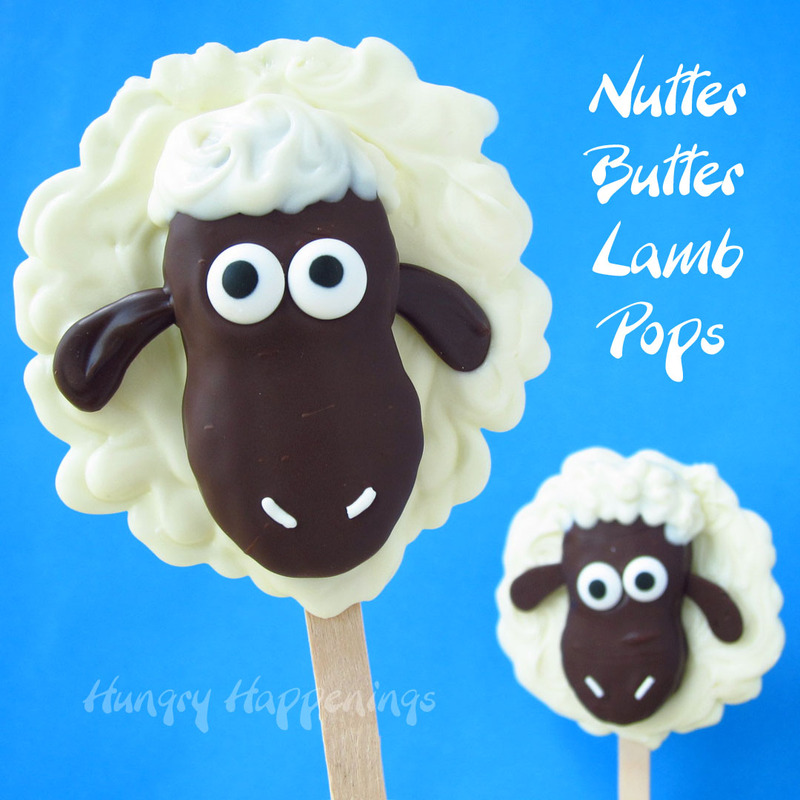 My husband just shakes his head at me as I eat them! I already got the Peeps cookie cutters. I thought it would be fun to give my family Peeps, since they always give them to me! I would love to win the rest of this package! How fun! My husband isn't a fan either, and just doesn't get my obsession with them either! 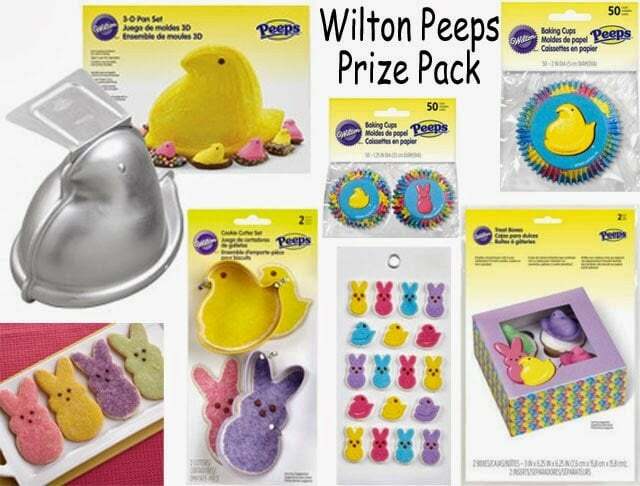 I am not a huge fan of Peeps, but I love all those cute products by Wilton! 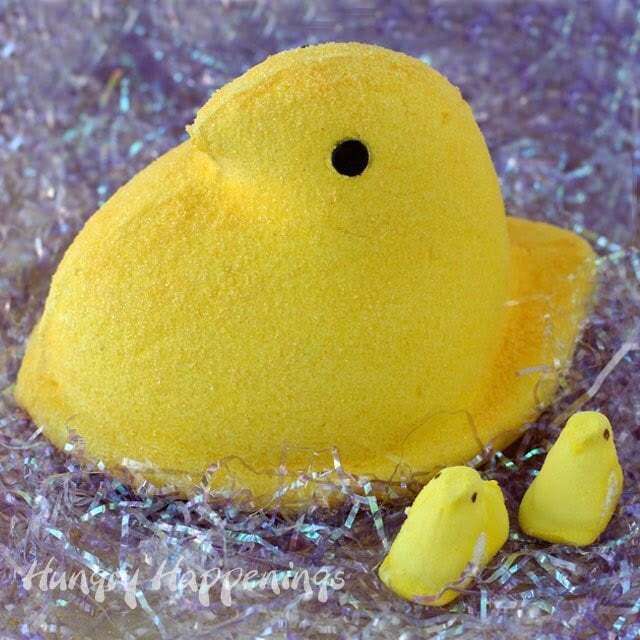 I would love to make a giant Peep cake! 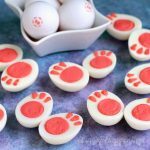 I love that even people who aren't fans of the marshmallow, might love the cuteness factor of a Peep and now you can make cookies, cupcakes and more using the Wilton products. That is such a smart idea! I hate having to wait too, so I understand his enthusiasm. Oh, sounds wonderful. 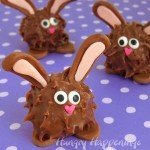 I do love my Peeps with chocolate too! I love PEEPS, I try to find all of the new ones out each season and use them as edible decorations. I LOVE to make peep smores!! 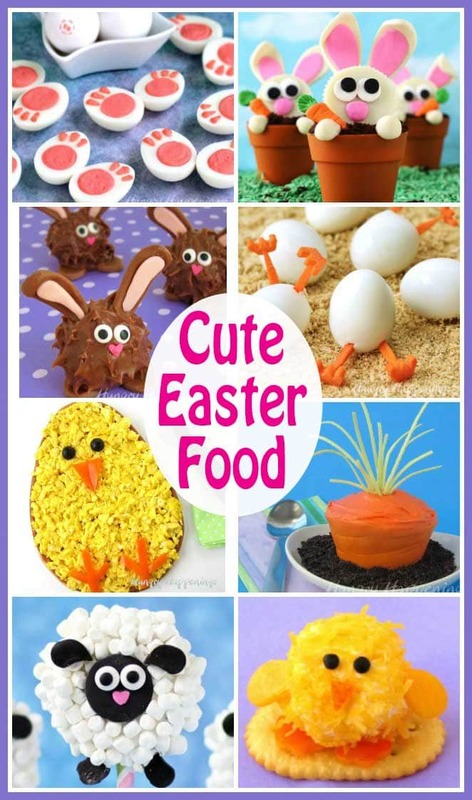 I loved reading your article on the giant peep (I found it on pintrest). 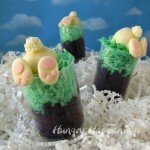 Each year we get peeps to celebrate easter. My husband and I have a continuing argument about leaving the peeps fresh or letting them get stale. My favorite way is fresh and soft! My 4 year old now adds to our debate and tries them each way to see what she thinks are best. What a great fun easter tradition.